"Anti-Meridian" redirects here. For the Brave Saint Saturn album, see Anti-Meridian (album). Not to be confused with ante meridiem (AM), the time before midday, for which see 12-hour clock. 180th meridian on a map of Earth. The International Date Line zigzags around the 180th Meridian. The 180th meridian or antimeridian  is the meridian 180° both east and west of the Prime Meridian, with which it forms a great circle dividing the earth into the Western and Eastern Hemispheres. It is common to both east longitude and west longitude. It mostly passes through the open waters of the Pacific Ocean, but passes across land in Russia, Fiji and Antarctica. 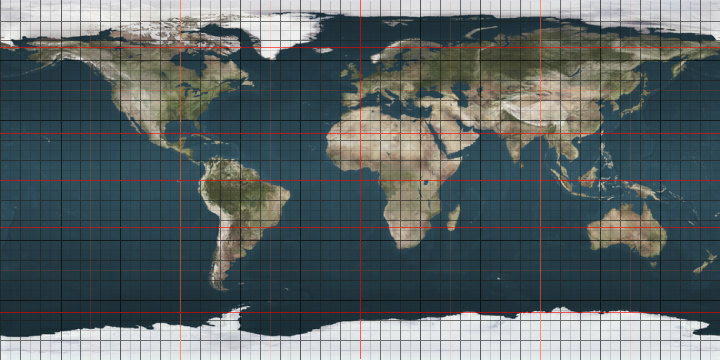 This meridian is used as the basis for the International Date Line, but the latter deviates from it to maintain date consistency within the territories of Russia, the United States, Kiribati, Fiji and New Zealand. 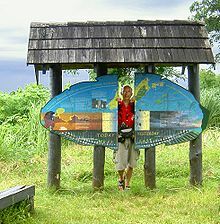 The only place where roads cross this meridian, and where there are buildings very close to it, is in Fiji. In OpenStreetMap, areas (like the boundary of Russia) are split at the 180th meridian. ^ The word antimeridian can also mean the meridian opposite to any given meridian. E.g. 20° west is the antimeridian of 160° east. ^ "RFC 7946 - The GeoJSON Format".